Expandable card hand fans are unique, multi piece fans that make ideal keepsakes for weddings and special events. They also make great invitations, programs, menus and promotional items. Fan grommets allow the panels to slide together for a one panel look and store easily in a purse, pocket or bible. 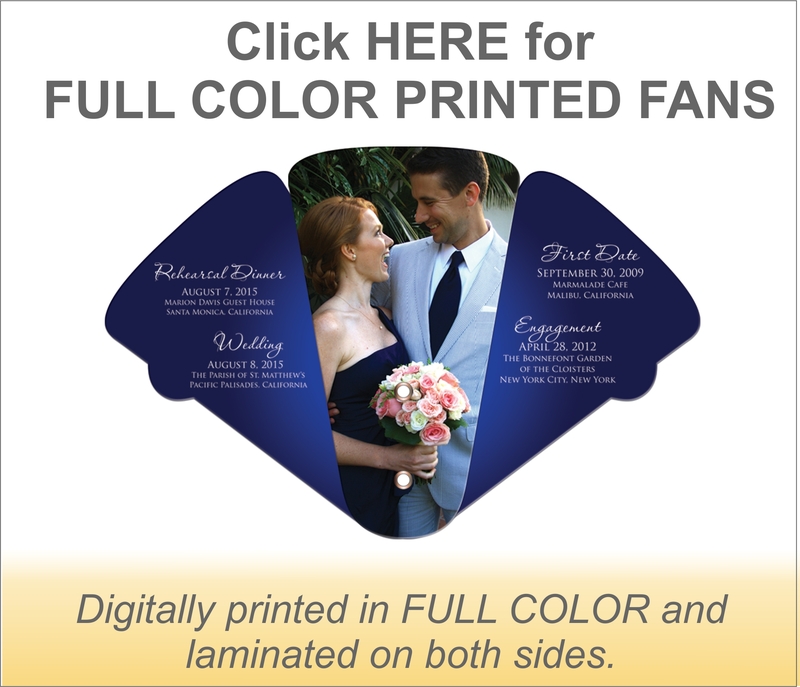 The FULL COLOR PRINTED have a minimum order quantity of 100 fans and are digitally printed in full color and film laminated on both sides. These fans are made from high density 22 point board stock. 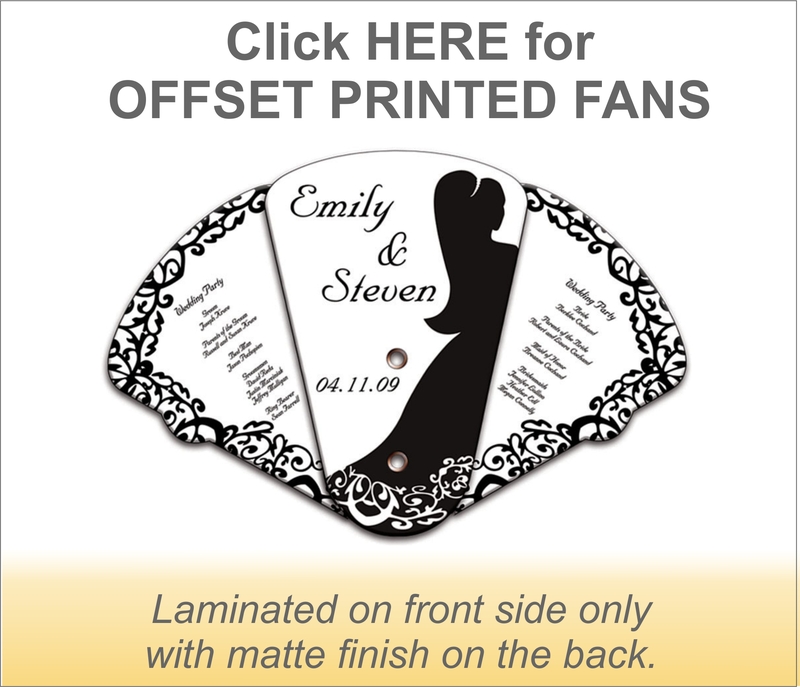 The OFFSET PRINTED fans have a minimum order of 250 and the pricing includes a one color print on the front panels only. Back side printing is available for an additional charge. These fans are made from high density 22 point board stock and are liquid laminated on one side and have a matte finish on the other. Please click here: Artwork Help for information on the types of artwork files that are acceptable for Digital (Full Color) Printed Fans and Offset (Spot Color) Printed fans.